Stylish and elegant, the Millennia EZ SPAN™ Dining Chairs feature Tropitone's EZ SPAN™ Segments in Ribbon or Wave designs, which make on site replacement a breeze. Tropitone offers several EZ SPAN™ vinyl colors to perfectly complement and accent the chosen finish. 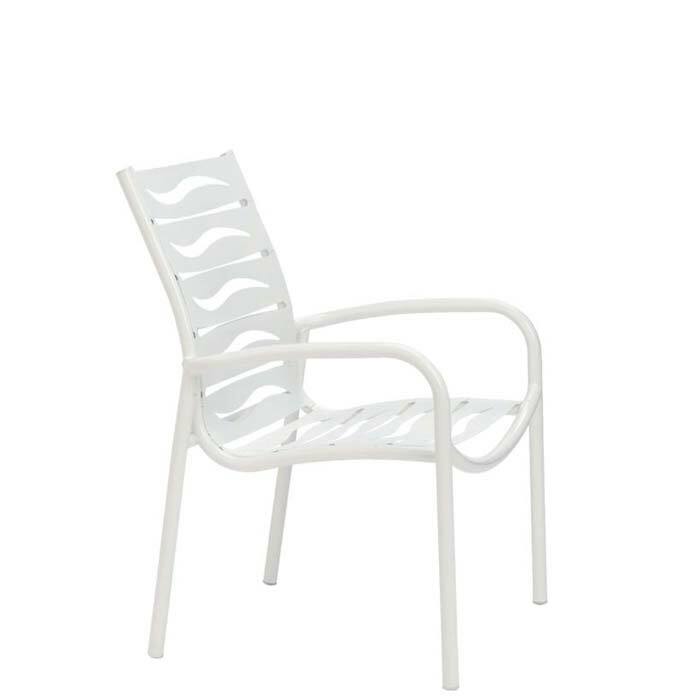 Around the pool or at the beach, Millennia EZ SPAN™ Dining Chairs are stackable, durable, and the new modern classic.